Houzz 17 of our visitors have told a friend about this plan. 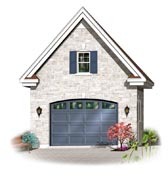 Question: what are the dimensions of the garage doors? 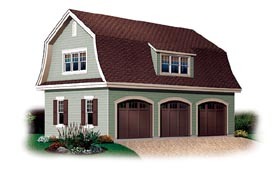 Also, why is the second floor so much smaller than the garage? Thank you. 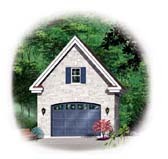 The difference of 5’ between the depth of the 2nd level and the main floor of this garage is due to the radial configuration of the roof slope and the space that is required for it. There are however 4, 22” x 30” access doors to this attic space (two on either side). 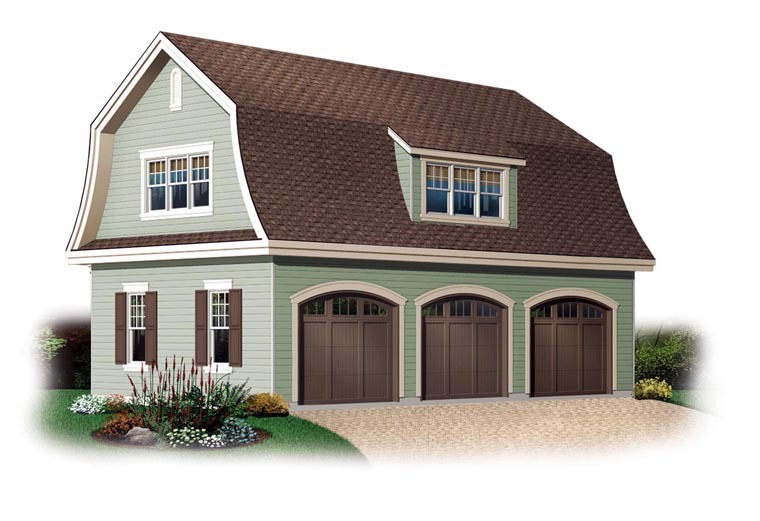 The three garage doors are 9’ wide and 8’ high. 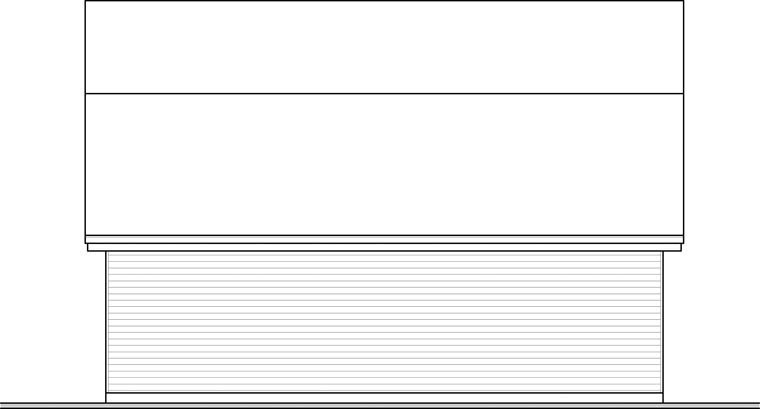 Question: I have a square footage limit of 600sf. 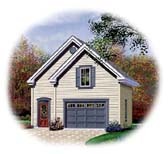 It doesn't appear that the shed dormer has added to the 560 square foot listed here in the description. Does it add to the living space or will my building dept accept 560 as the correct footage? Also, do the interior stairs lead to a small back deck with entrance to the bonus area? The Shed dormer adds approximately 40 sqare feet and the interior stairs lead up to the bonus area but to not access the outside. Question: what is the snow load? Snow load for our plans is 75lbs per square foot but this may vary according to the way the engineered roof trusses are manufactured for your area to meet code.